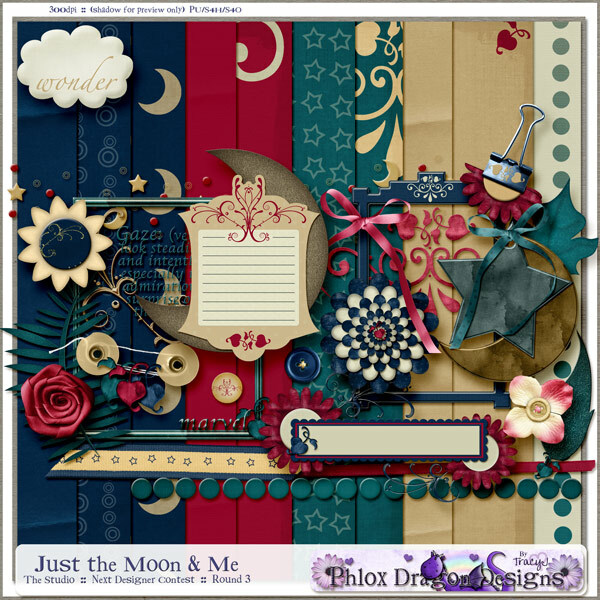 Phlox Dragon Designs: Just the Moon & Me! The Studio NDC R3! Just the Moon & Me! The Studio NDC R3! just a little tricky were the the criteria! lol! Click on the preview to take you to "The Studio"
where you can Download my kit & 13 other fabulous ones! The Studio - Next Designer Contest!